↑ Case Number 23, Harrisburg, PA Commission on Accreditation for Law Enforcement Agencies. Accessed January 29, 2010. ↑ "City Mayors - Stephen Reed, Mayor of Harrisburg". citymayors.com/. 2006. สืบค้นเมื่อ 2009-06-09. ↑ "City of Harrisburg Economic Profile: Overview". 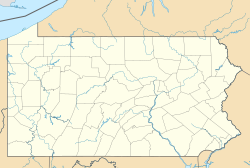 harrisburgpa.gov/. 2006. Archived from the original on 2007-01-03. สืบค้นเมื่อ 2007-01-06. หน้านี้แก้ไขล่าสุดเมื่อวันที่ 17 มิถุนายน 2557 เวลา 12:50 น.